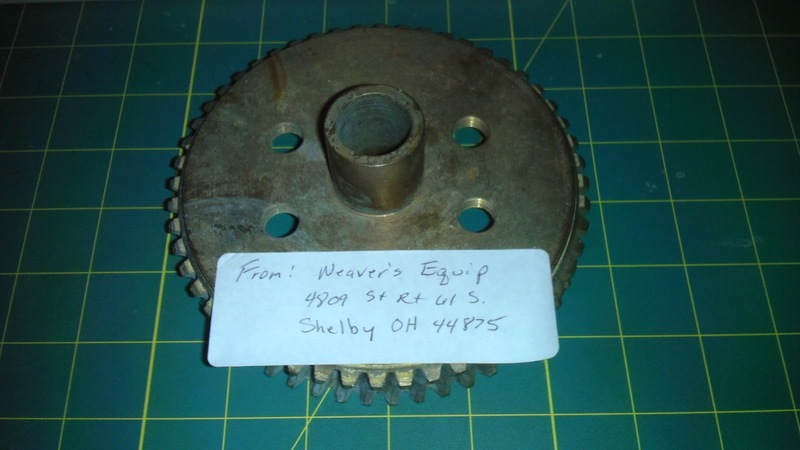 Bob Weaver in Shelby, Ohio had a batch of reproduction brass ring gears made. During Bob's own restoration he needed one as well, and I was fortunate enough to obtain the second-to-the-last one he had made. The Weaver family were very pleasant folks and I enjoyed doing business with them. The gear looks like good quality American workmanship. That kind of workmanship is worth it, and it didn't come cheap.